Carpenter Insurance also known as liability insurance for carpenters and carpenter contractors insurance is a type of general liability insurance that protects carpenter businesses when they get involved in a lawsuit after working on a residential or commercial property. If you happen to work as a carpenter in the country of Canada, you’ll agree wholeheartedly that the market is booming. Carpenters will be able to find plenty of work within the country. Nevertheless, there are also many risks involved. In fact, each and every company operating in Ontario, Canada will face some degree of risk during their tenure. With that being said, it is absolutely pertinent to protect your business from legitimate and frivolous lawsuits. This is why you should get carpentry contractor insurance right this very limited. If you’re working and serving clients without liability insurance for carpenters, you’re making a foolish mistake and it could haunt you in the future. Imagine this scenario. You receive a call from a lawyer who tells you that you are being sued for $200,000 because of some work you did at a clients house. Because of the work you did in their house, a portion of it collapsed and now damages have incurred. In this possible scenario, if you do not have carpenter general liability insurance, you will have to pay out of your own pocket. If you get caught up in this type of situation, it could very well lead to you shutting down your business and selling your assets to pay off the amount. Always make sure your business insurance policy fully protects all your carpenter work for residential and commercial projects. Also, it is an absolutely must to have tools and equipment coverage added to your policy in the event they get stolen or broken during work. Below, you’ll learn a great deal more about contractors insurance for carpenters. Why Is Carpenter liability Insurance Important? 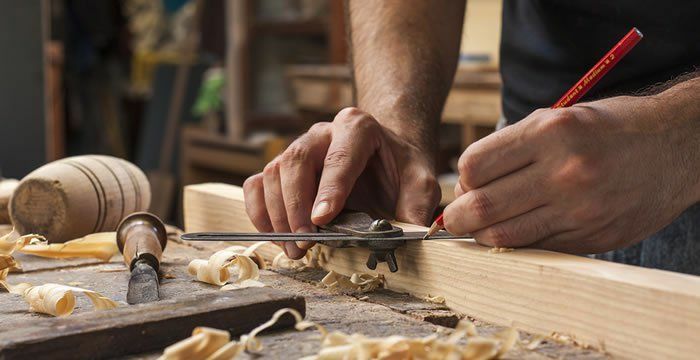 First and foremost, you should take the time to familiarize yourself with the importance of contractors liability insurance for carpentry businesses. This type of construction insurance is designed to protect your company from allegations for injury, bodily harm or property damage. If you’re working without contractors liability insurance, you’re risking a massive lawsuit. If the client believes that your mistake has resulted in their injury or property damage, you can pretty much guarantee that they’ll file a lawsuit against you. This is why you should get covered immediately. Untimely a lawsuit could lead to an enormous settlement that forces your company into bankruptcy. This would hurt you, your family and your workers. Get covered today, so you can protect your company and these individuals well into the future. Every business is at risk of financial loss related to lawsuits and claims, stemming from accidental mishaps. These risks can result in a minor or major financial loss that would be extremely difficult to recover from. 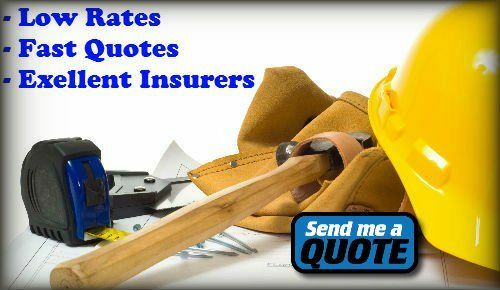 This is why it is crucial for carpenter contractors to be covered under a quality contractor insurance policy. This policy will cover any damages caused by a permanent or temporary employee and subcontractors. In addition to standard coverage, make sure the you have vehicle insurance in place that protects you an your employees when driving the company truck, car, or van for work. Business vehicle insurance is different from the regular auto policy. Your insurance company must know that the vehicle is being used for carpenter work of they may deny any claim that arises as a result of work operations. Carpentry is a skilled trade that requires a lot of backbreaking work, posing risk of injury and accidents. In fact, many professional carpenters will work eight to 10 hours a day, lifting heavy building materials, stooping, bending and scaling ladders and scaffolds. Just one small accident could cost hundreds, if not thousands of dollars to rectify. As a professional, reasons behind having insurance as an independent contractor goes far beyond just your responsibility to protect your employees from potential risks of financial loss related to personal injuries and property damages. Liability insurance is the best form of protection any contractor can have, as it will cover the costs of structural damage and medical bills of the person or persons injured in the accident. Without it, you will be forced to pay out of pocket, which could lead to bankruptcy and shutting down of your company. 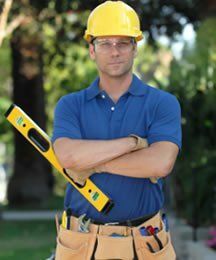 What Are The Carpentry Contractor Insurance Limits? You must realize that contractor insurance is not completely unlimited. It might be possible to acquire insurance with unlimited payouts, but this will likely send your premium through the roof. Instead, it is best to acquire just enough insurance to cover each and every one of your risks. A good start would be $2,000,000 in coverage. You shouldn’t be afraid to acquire additional coverage, especially if you are an approved contractor hired by insurance companies, but you should be careful of overdoing it. Overdoing it and setting the limit too high will cause your premiums to be immensely high. Find out the maximum amount of settlement you could face and make sure your limit will be able to cover that amount. Your insurance broker will be able to help you in this category. They’ll know a great deal about your line of work and the risks you face. With their assistance, you’ll have little to no trouble getting the insurance you need to remain safe! When Should You Get General Liability Insurance for Carpenter? Now, you should know that contractor insurance is vital and cannot be ignored. So, when should you sign up? The truth of the matter is that you should have contractors insurance coverage before serving any clients anywhere in the GTA including Brampton, Toronto, and Mississauga whatsoever. Each client brings a certain level of risk. If you work with anyone without insurance, you could run into devastating problems. If you’ve been serving clients without insurance, you should stop what you’re doing and get covered right now. Otherwise, you should have a sufficient amount of insurance before accepting any carpentry work whatsoever.